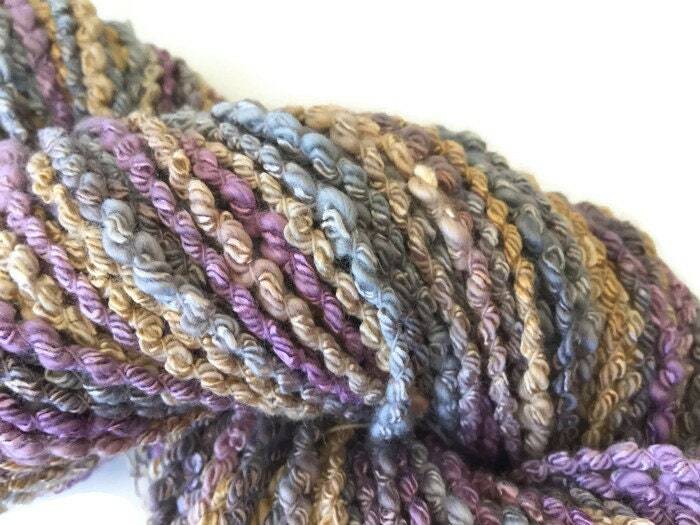 This hand-dyed yarn was dyed with several dusty pastel colors. 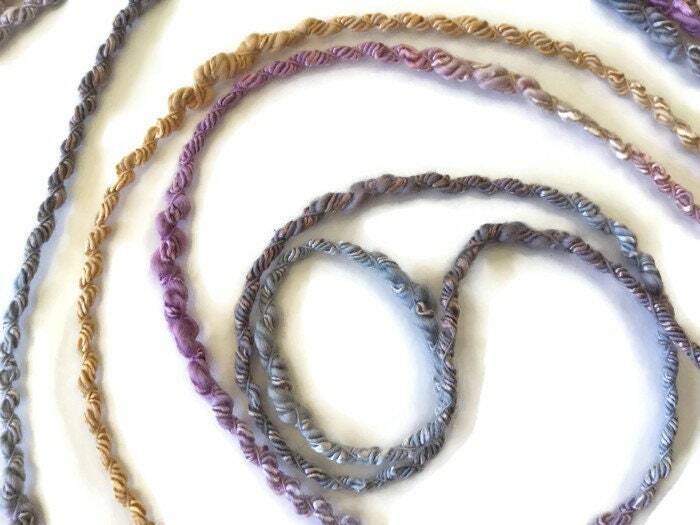 Colors are silver grey, light charcoal grey, tan, beige, golden brown, and several shades of dusty mauve. 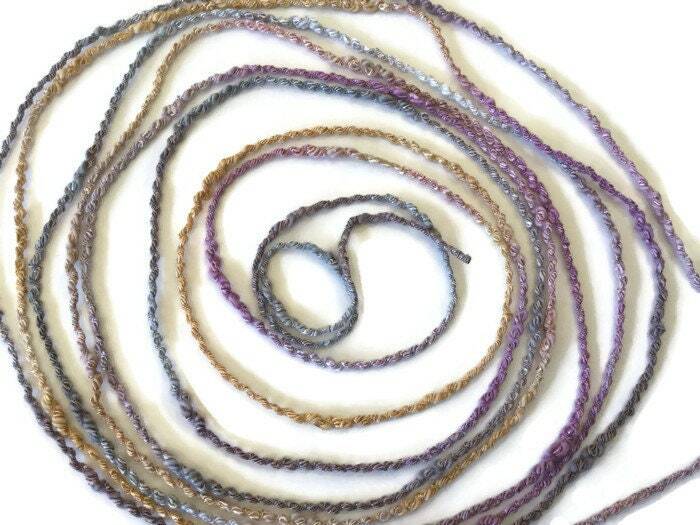 The yarn is cotton with a ply of rayon giving bits of shine to the yarn. I am not sure what exactly to call this yarn. It has areas of thick and thin, it is not quite a boucle but does have some bumps. It has 9 wraps per inch and is a heavy worsted. 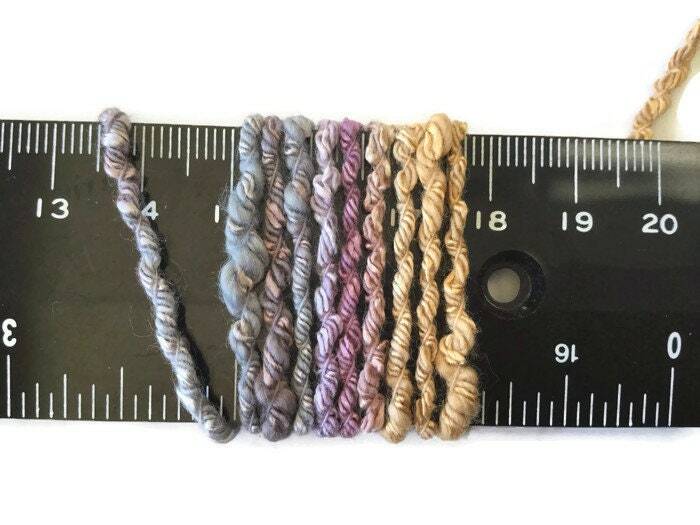 Each skein is 100 yards and weighs 3.2 ounces. 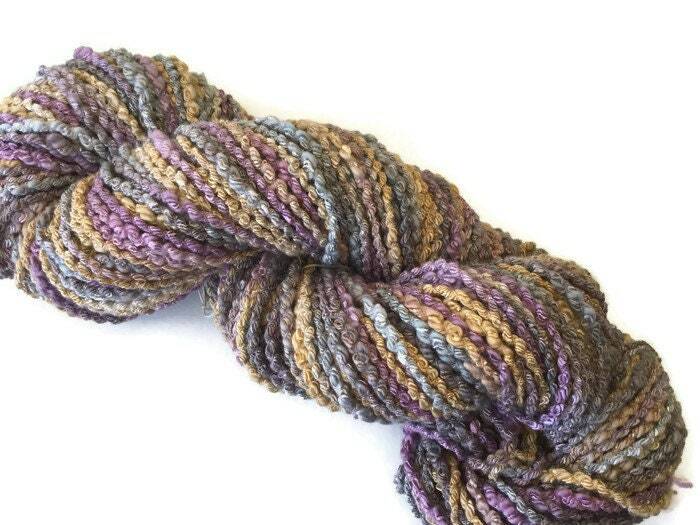 I also have some 15 yard mini-skeins available.